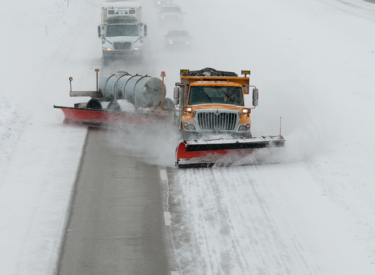 Winter weather is in the forecast for Kansas and Kansas Department of Transportation crews are equipped and ready. KDOT has stored 130,000 tons of salt and 60,000 tons of salt/sand mix in preparation for the season and has 1,200 operators who are trained and ready to plow and treat roads. To make it easier for travelers to know before they go, KDOT’s traveler information website KanDrive has been enhanced. Last year the public asked for camera tours to be added to the site as well as a simplified legend for users. The camera tours option allows users to view multiple images of a highway corridor or region on one screen. Those improvements, along with the addition of road closure alerts, a dedicated road condition map and a simpler map layout, make the tool easier to use. In addition to visiting KanDrive, http://www.kandrive.org, drivers can obtain route specific road conditions and weather information by calling 5-1-1 within the state or (866) 511- 5368 from out of state. • Completely clean frost and snow off all windows, mirrors, and lights, and use headlights to provide optimum visibility. • Slow down, accelerate and brake gently, and increase following distance between other vehicles. • Allow for more travel time. • Always wear a seat belt, and secure children in the proper child safety seats. • Slow down and move over for stopped emergency vehicles and maintenance crews. • If possible, remain buckled up and in your vehicle for protection from other vehicles. • If involved in a crash, or need assistance, call 911, or contact the Kansas Highway Patrol at *47 (*HP) from a cell phone. Call *582 (*KTA) on the Kansas Turnpike.